My husband and I recently celebrated our wedding anniversary. Since we had celebratory lunch reservations at the Palladio Restaurant at Virginia’s Barboursville Winery on the following Saturday, I decided to come up with something special for our dinner to celebrate our weeknight anniversary evening. That’s when I created my Sauteed Scallops and Confetti Vegetables over Carrot Parsnip Puree! 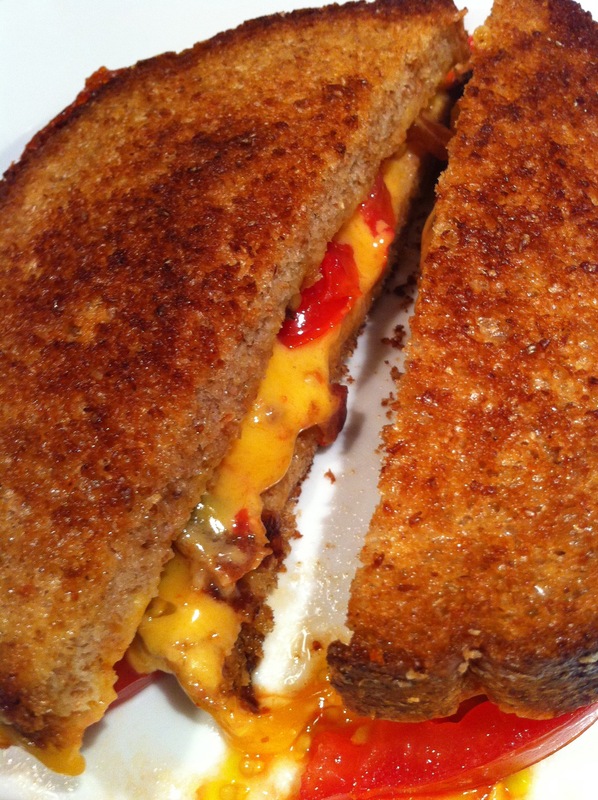 Certainly a dish worthy of a celebration! One of our favorite destinations, Palladio Restaurant is located at the Barboursville Vineyards in Barboursville, Virginia. It’s a lovely restaurant that specializes in local ingredients that are in-season. 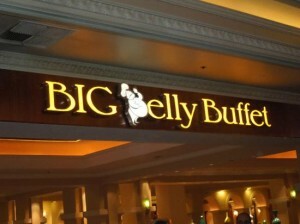 If you plan to dine there, be sure to make a reservation as Palladio is very popular. You can stay at the 1804 Inn which is located on the winery’s property. 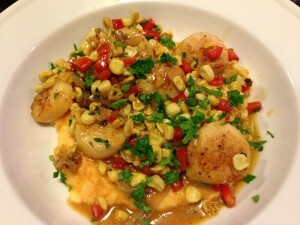 Now back to my scallops recipe. When I am wondering what to make for dinner, I take a look at what ingredients that I already have on hand, and then sometimes consult my cookbook collection for ideas. I’d purchased some fresh scallops and parsnips at my local Whole Foods Market. In the fridge, I found some carrots, a red bell pepper, and some corn. Harvested some parsley from the garden. What to make? How about seared scallops over a carrot parsnip puree and sauteed vegetables? Sounded fine to me! 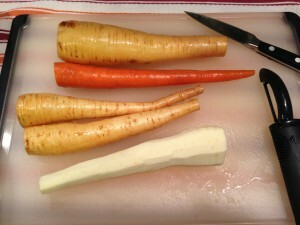 First, I washed and peeled the parsnips and one carrot. And cut into one inch pieces. Then simmered the vegetables covered in water in a pan until they were tender. 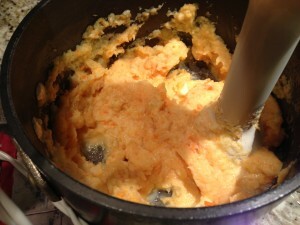 When the parsnip and carrot pieces are cooked, puree them with a hand blender until smooth. 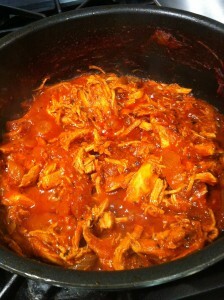 Add a bit of cream for richness and keep warm in a covered pan. 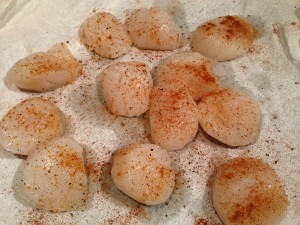 Rinse your scallops to remove any sand or grit. Dry them, and sprinkle with paprika. 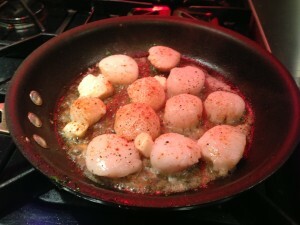 Saute the scallops in olive oil or butter until golden brown, turning over once during cooking. When the scallops are done, set them aside. 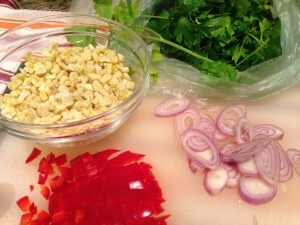 To make the confetti vegetables, dice some red bell pepper and onion, slice shallots, and chop some parsley. Thaw some frozen corn unless you have fresh corn and use that. 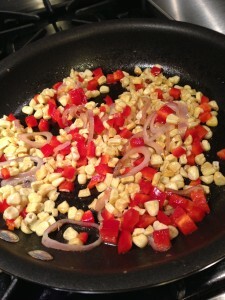 Saute the onion, bell pepper, and shallots in olive oil along with some corn. Add a minced garlic clove. Stir in some parsley. 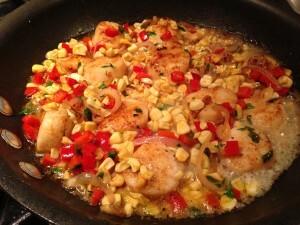 Add the pepper/onion/corn/shallot/garlic mixture to the scallops and heat through. Add some seafood stock and simmer for a few minutes for a nice pan sauce. 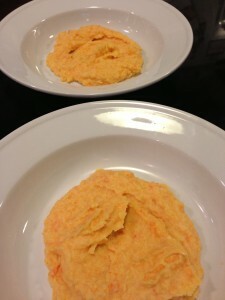 Divide the carrot parsnip puree between two serving plates. Spoon the scallops and confetti vegetables mixture over the carrot parsnip puree. Sprinkle with chopped parsley, and SERVE! 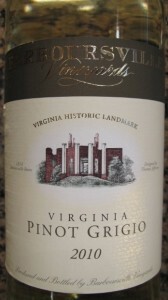 And enjoy with a favorite wine, such as my choice of Barboursville Pinot Grigio for this dish. You can also enjoy a lovely sauvignon blanc. 1. Put parsnip and carrot pieces into a 6 qt pan and add water to cover the vegetables. Bring to a boil. Simmer, uncovered, until the parsnip and carrot pieces are tender. 2. When the parsnip and carrot pieces are cooked, remove them from the heat and puree until smooth with a hand blender. Add the cream and stir. Set aside and keep warm. 3. Rinse the scallops to remove any grit. Pat dry with a paper towel. 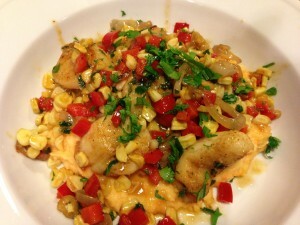 Sprinkle paprika over the scallops on both sides. 4. Heat the olive oil in a saute pan over medium heat. Saute the scallops briefly on each side until browned. Remove from heat and keep warm. 5. In the same pan that sauteed the scallops, heat some olive oil. Saute the onion, pepper, shallot, and corn until the vegetables are translucent and softened. Add the minced garlic and half of the parsley. 6. Return the scallops to the “confetti vegetables” saute pan, and heat through with the vegetables. Add some seafood stock to make a pan sauce. 7. Divide the parsnip carrot puree between the two serving dishes. Top each with 6 scallops and the confetti vegetable mixture. 8. Garnish with chopped parsley and serve! Variations: Add other diced vegetables to the confetti mixture such as zucchini, yellow squash, mushrooms, or tomatoes. Instead of the carrot parsnip puree, use Yukon Gold potato puree as a base.